These are some of my favorite first lines. I have included the one from my YA fantasy Two Moon Princess. A little biased there. But it wouldn’t be my first line if I didn’t like it. No agenda on the others. Books are like shoes. You don’t know if they are the right fit until you try them on and walk with them for a mile/read the whole book. Yet, to do so you need to purchase them first and that is, in both cases, a leap of faith. You know you like them. You may have even fallen in love with their design/their cover. They are, basically, what you are looking for: sandals for the summer, a pair of high heels for the Christmas party, flip flops for the beach, boots for hiking, loafers for every day, sneakers to play tourist. The right genre if we talk books: a mystery for a winter day, a comedy for a summer read, a fantasy to escape to another world, a tragedy, a light romance when you are feeling blue. But trying them on, or reading the blurb, the first page, a random sentence in the middle, does not guarantee they will fit your need or mood. In the case of books, a review can help you make an informed decision. But not any review will do. Reviewers are people with their own likes and dislikes. So be careful to choose a reviewer that has a taste similar to yours. One that has given favorable reviews to books you have also liked and hates the ones you also hate. One that gives you information on the mood and scope of the book without revealing the plot, or even worse telling you the ending. And be open to try new genres, new authors. Who knows where your new love is waiting. I have no similar advice regarding buying a pair of shoes. There, I’m afraid, you have to trust yourself. Or ask your feet. For an author, Virtual Book Tours have the best of both worlds. You get to meet lots of interesting people and talk about your book, yet you don’t have to leave the comfort of your home. Thanks to Kari, the blog tour for my YA fantasy TWO MOON PRINCESS (Tanglewood Press) starts this Monday April 4 with Amber Clark’s pageturnersblog.com and continued daily until April 30. 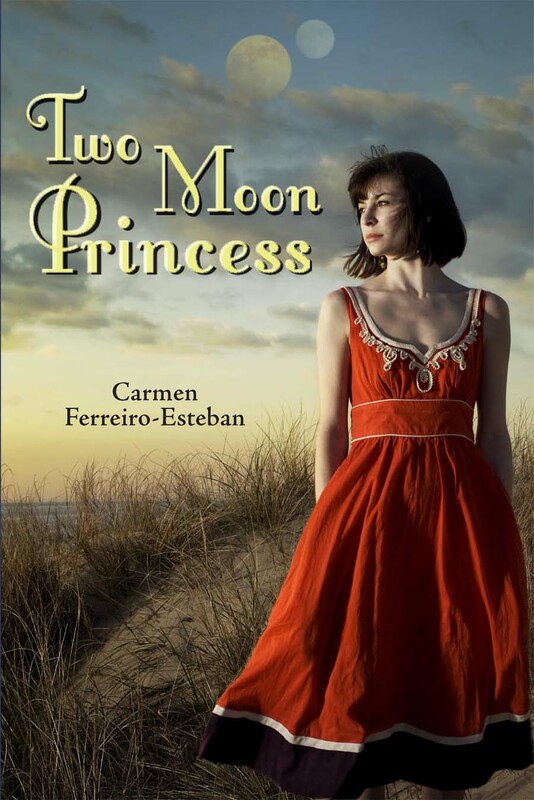 As specified above, each blogger will post either a review of Two Moon Princess, a guest post about a specific subject she requested from me, or an interview with the author (that would be me). I was amazed at the imagination displayed by these wonderful bloggers in their choice of questions and blog subject matters. I hope my answers do them justice. Please stop by at any time, and leave your comments.